Be for first to see new healthy family recipes, healthy tips and updates. All you need to do is subscribe to my free family healthy recipes blog. To subscribe now, just click on the orange RSS button on the left hand Nav Bar. Not sure what RSS is? Click on the ? question mark beside the RSS button. Homemade Healthy Curry Sauce Recipe, Easy Curry Recipes. Made with Fresh Healthy Vegetables, Garlic, and Indian Spices. 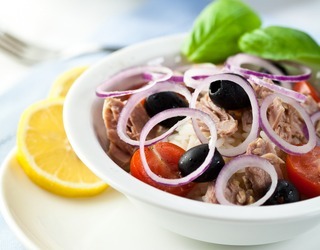 Tasty versatile low fat recipes for sauces, fish or lentils. Continue reading "Homemade Curry Sauce Recipe - A Healthy Indian Meal"
Continue reading "Homemade Chicken Enchilada Recipes Healthy Recipes for Chicken"
Homemade Healthy Chicken Curry Recipe, Easy to follow Curry Recipes. Simple Cooking Instructions. Learn about basic curry spices and their Powerful Health Benefits. Continue reading "Homemade Chicken Curry Recipe, Healthy Curry Recipes"
Cheap dinner recipes, free homemade healthy family recipes. Choose from tasty cheap casseroles, simple paella, lasagna, simple shepherds pie recipe, enchiladas, burgers and more cheap healthy meals. Continue reading "Cheap Dinner Recipes – Healthy Recipes for Families"
Continue reading "Cheap Boneless Chicken Breast Recipe - Oven Baked Chicken Recipe"
Family Healthy Banana Smoothie Recipes, Homemade in 5 minutes for a healthy breakfast, lunch or snack. Your Children will love these nutrient dense smoothies. They’ll never know how healthy they are. Continue reading "Creamy Banana Smoothie Recipes, Homemade Recipes for Healthy Food"
Homemade Healthy Burgers are Full of Intense Flavors, Made with Fresh Ingredients and Oh So Tasty. Make these burgers for your family and they won’t even know their eating healthy food. Continue reading "Homemade Healthy Burgers - Easy Healthy Meal Recipe "
Easy Oven Roasted Vegetables Recipe. Use your favorite vegetables. Multi Coloured Peppers, Onions, Tomatoes, Beetroots, Potatoes.The flavors are intense when oven baked, You're Family will Love Them! Continue reading "Healthy Oven Roasted Vegetables - Healthy Vegetable Recipes"
Warming Healthy Chicken Soup Recipe, My Mums' Irish Soup Recipe. Fresh Vegetables, Chciken and Lentils. Also try my Irish Vegetable Soup Recipe, Lentil Soup and more Healthy Soup Recipes. Continue reading "Homemade Healthy Chicken Soup Recipe – Traditional Irish Healthy Soup Recipe"
Fun Family Fitness Guide, ideas to get the whole family fit and healthy. Family exercises you can do together. Continue reading "Free Family Fitness Guide Fun Exercise Ideas"
Continue reading "Healthy Lunch Recipes - Recipes for Healthy Food"
Free Family Healthy Breakfast Recipes, Kick Start Your Morning! My Family Healthy Breakfast Recipes, Best Homemade Breakfast. Try these quick healthy meals to fuel your family for the day. Healthy Fruit Smoothies, Super Energy Boosting Vegetable Smoothies. Continue reading "Free Family Healthy Breakfast Recipes, Kick Start Your Morning!" Continue reading "Homemade Healthy Coleslaw Recipe, Low Fat Side Dish"
Simply Healthy Omelette Recipe, For a Healthy Meal Anytime! Cheap, Easy, Healthy Omelette Recipes. Want a Healthy Recipe for any time of day? Nothing is simpler than a freshly made omelette. Try this homemade healthy recipe to fill you up. 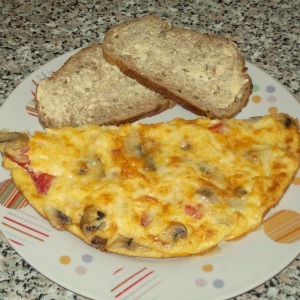 Continue reading "Simply Healthy Omelette Recipe, For a Healthy Meal Anytime! " Easy Healthy Egg Recipes – Healthy Brain Food! Quick Healthy Egg Recipes, High Protein. Include some Eggs in Your Family’s Healthy Eating Plan. I make delicious omelettes and other egg recipes for My Family. Continue reading "Easy Healthy Egg Recipes – Healthy Brain Food! "